I was unable to be at the presentation dinner on Tuesday night for the AIPP Photography Awards and say my thank you’s in person so here goes, this is what I would’ve liked to had the opportunity to say. My heartfelt thanks to Mel Anderson (second from the right) and Hilary Wardhaugh (right) who generously accepted my award on my behalf at the presentation dinner. Two wonderful women and photographers who are my tribe, thank you gorgeous ladies. Congratulations to all the category winners, and the Big winner, Chris Saunders. The imagery was an absolute visual feast. I congratulate too all entrants. It can be quite a challenge to put your heart and soul up there in front of the judges in the hope they see what you saw in making the image. My thanks go to the AIPP, they have been through a tumultuous year and come out the other side smiling…that’s no mean feat and I congratulate all those who have given their all to make that happen. Running the awards is a big event that so many people contribute to in all sorts of ways and the team really pulled together. Thanks also to the AIPP sponsors, without whom these awards would not be the success that they are this year. It is with pride that we can count on those sponsors to stand beside Australian photographers and support them through the good and bad times. Thank you. To the sponsor of the Illustrative category, Eizo, my heartfelt thanks for their ongoing support of the AIPP. I could not do what I do without my trusty Eizo monitor that I have had now for quite a few years; it has made the world of difference to my creative endeavours. My sincere thanks to the judging teams and particular to those judges who tapped into my vision, saw in my images a story that touched them. This is why I do what I do. 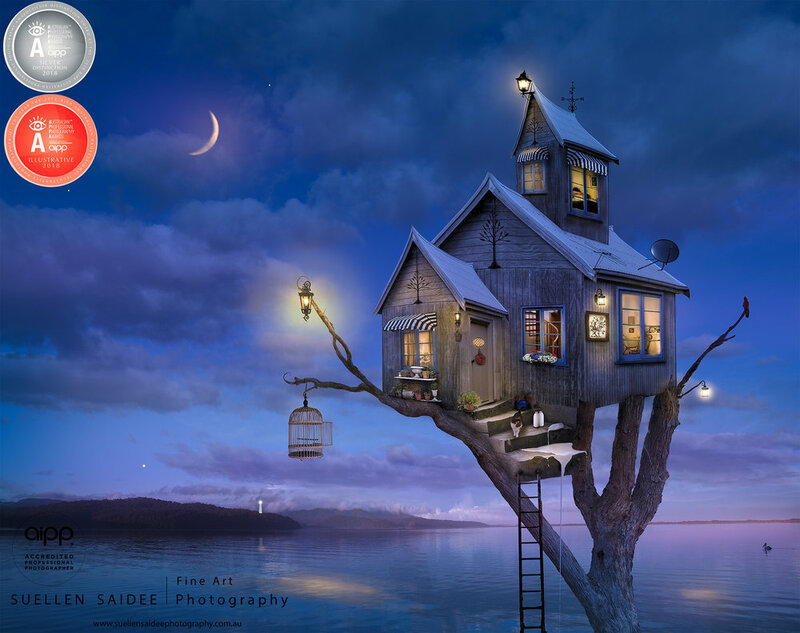 Not to make images that look like reality, where the elements are so perfectly assembled they could be just one photograph but rather to pull the viewer into a small possible world of whimsical imagination; to see that make-believe really is believable. A place where reality is irrelevant but imagination is essential. Imagination is often the province of children and gets lost or cast aside along the way into adulthood. If my images can take you to a place of pure imagination and whimsy, and reignite that feeling within, then I have achieved my goals. There is little better than when someone tells me they would love to be able to live in there. Thanks to my family for their unending support, without them I could not have achieved what I have. Thanks too to the many friends, who have encouraged me, picked me up, had faith in me, celebrated my achievements and provide me with much needed advice and critique. Again I could not have achieved my goals without your help. Living the dream at last! 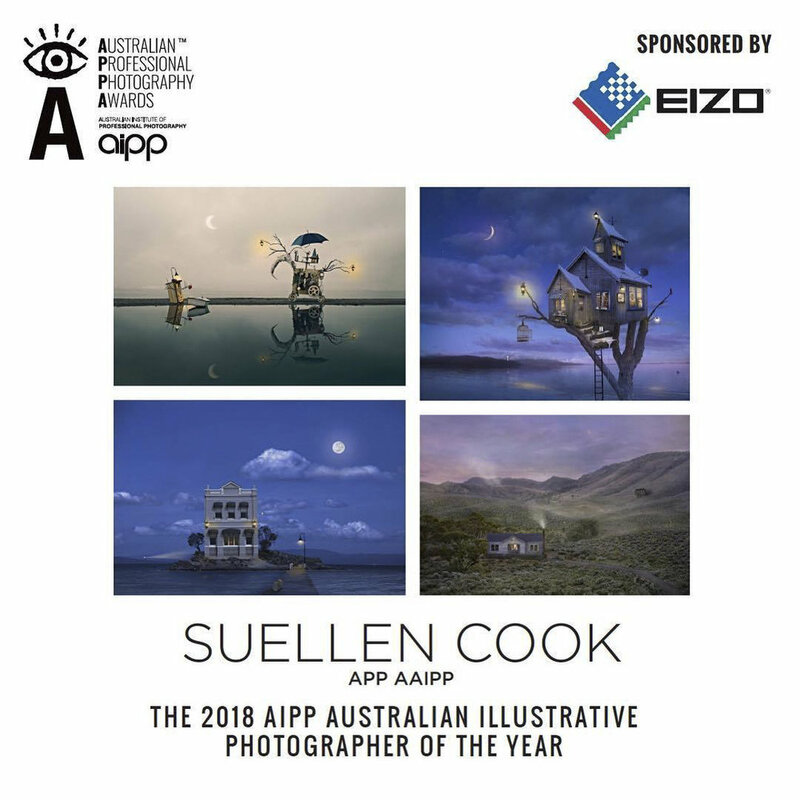 Hobart photographer Suellen Cook wins Australia’s AIPP Professional Illustrative photographer of the year. 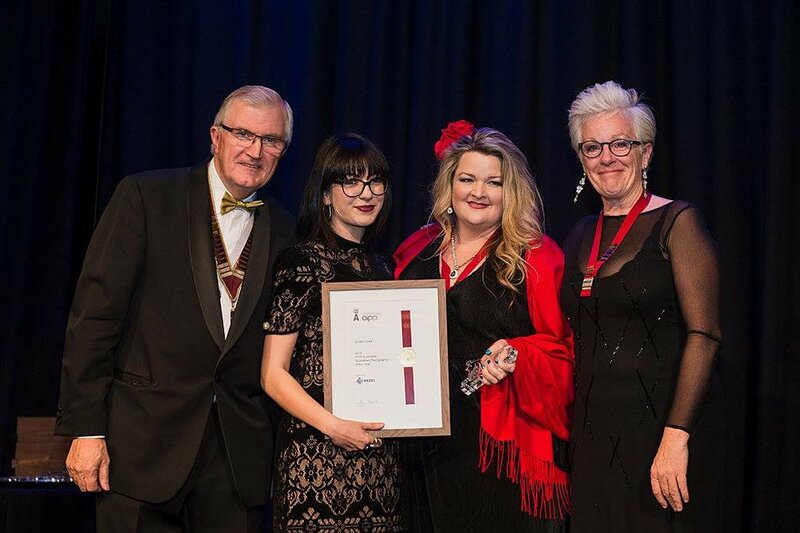 More than 400 of the country’s best professional photographers gathered in Melbourne last Tuesday night for the Australian Professional Photography Awards – known as APPA – presented at a gala dinner at The Plaza Ballroom on Collins Street. Ms Cook, 62 of Seven Mile Beach, Hobart, took out the prestigious title for her photographs of mystical and whimsical scenery. Ms Cook, who has a background in creative industries, a PhD in marine biology and worked as a research scientist and environmental consultant, left her full-time job last year to pursue her passion. “I have been an artist most of my life; my mother was an accomplished painter and my father a talented musical instrument maker”, said Ms Cook. Ms Cook said to win the AIPP award was amazing and reinforced her position as an artist. “To be awarded as the best in Australia, it’s really something. Ms Cook said she loves creating magical imagery and her dream is to have her work displayed in galleries worldwide. Ms Cook’s limited-edition work is on display at Gallery Salamanca in Salamanca Place, Tasmania. “To have people buy my work and to have it hanging on their wall is really special”, said Ms Cook. “My mantra for my work is, ‘making make-believe believable’” she said. The AIPP is Australia’s largest photographic membership body. Founded in 1963, the AIPP is a not-for-profit organisation run voluntarily for and by professional photographers and industry representatives, who seek to set a standard of excellence within the photographic industry. The AIPP strives to promote and maintain the highest standards of professional competence and business ethics in the industry. By maintaining rigorous entry criteria and a binding Code of Ethics for members, as well as providing ongoing education via seminars, workshops and events, the AIPP is a brand of trust in the photographic industry. AIPP Committees represent members on important issues such as copyright; taxation, legal and business matters; insurance; digital imaging and work practices. In 2015, the AIPP’s accreditation standards were awarded landmark certification from the Australian Competition and Consumer Commission (ACCC), which means its members can benefit from the first ever official certification status for accredited professional photographers.